In special reports, this week’s files cover: Defense Minister Paul Hellyer says Alien Forms among Us, Blackstar Craft Witness, Weather Warfare, Chinese Weather Modification, Japan’s Radiation Spreading, Earth Lights, and Mars flowing water. Unidentified Aerial Phenomena sightings were reported over: Alabama, Arizona, California, Florida, Illinois, Kentucky, Michigan, New Jersey, North Carolina, Pennsylvania, and Utah. 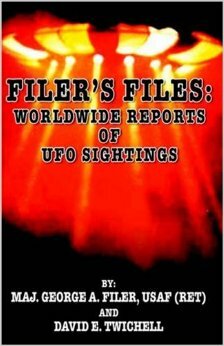 Sightings of UFOs were also reported in: Australia, Brazil, Canada, Dominican Republic, Guatemala, Japan, South Africa, and England in the United Kingdom. RT (Russia Today) is a global news network broadcasting from Moscow and Washington studios: RT’s Sophie Shevardnadze states: “Our guest today is the Honorable Paul Hellyer, former minister of Defense of Canada, and he believes that life forms from space are present on Earth. It’s great to have you on our show. Why do you say that UFOs are as real as airplanes flying over our heads? He was Canadian minister of Defense in 1960s, ruling over the country’s armed forces during the time of the Cold War — and when he retired he publicly stated that, “We are not alone in the universe, and some guests from outer space actually live here, on planet Earth.” Is this fantasy? Is someone actually watching us? Today we ask the man who says UFOs are a serious business — Paul Hellyer. H: First question you have to ask is how many species are there? “I used to think there were between two and twelve. Apollo astronaut, Edgar Mitchell, who came to Toronto a few years ago and had with dinner with us agreed there were something around two and twelve, but the latest reports that I’ve been getting from various sources are that there are about 80 different species and some of them look just like us and they could walk down the street and you wouldn’t know if you walked past one. They are what we call “Nordic blondes” and also the Tall Whites who were actually working with the US Air Force in Nevada.” They’re able to get away with that, they had a couple of their ladies dressed as nuns go into Las Vegas to shop and they weren’t detected. I have a friend who saw one of the men walking along the street, he is somebody who can recognize that they were different, and he did. Someone or something is changing the Earth’s weather; the temperatures in the United States and much of the world are the lowest in twenty years. The lowest temperatures suggest Global Cooling or some sort of Weather Control is occurring. Frigid temperatures generated by a “polar vortex” took hold across a wide swath of the Midwest and Northeast early Sunday, as the regions dug out from a deadly snow storm and braced for another blast of dangerous winter weather. Global Warming enthusiasts had support in the 80s and 90s but temperatures worldwide have been flat for 15 years. I’m sitting here at almost zero degrees in New Jersey it is very cold. The weatherman claims a polar vortex was established when the jet stream moved so far south. The polar vortex is a persistent, large-scale cyclone centered near the Earth’s Poles in the middle and upper troposphere and the stratosphere where HAARP operates. The Arctic polar vortex is elongated in shape, with two centers, one roughly over Baffin Island in Canada and the other over northeast Siberia. It is contained by a strong west-to-east jet stream that circles the polar region. This jet stream is usually referred to as the polar night jet. I don’t know what is upsetting our weather. Perhaps God is angry over the foolishness of humans, or aliens are messing with the sun that is unusually quiet. I like to find a reason for changes. Because of the winds, “It may feel as cold as negative 50 to negative 60 on Sunday night over sections of the north-central states,” the National Weather Service said. A vicious storm bringing rain, snow and floods just struck the Middle East. About a million more square miles of ocean are covered in ice in 2013 than in 2012, a whopping 60 percent increase — and a dramatic deviation from predictions of an “ice-free Arctic in 2013,” the Daily Mail noted . Arctic sea ice averaged 2.35 million square miles in August 2013, as compared to the low point of 1.32 million square miles recorded on Sept. 16, 2012, according to the National Snow and Ice Data Center. A chart published Sept. 8 by NSIDC shows the dramatic rise this year, putting total ice cover within two standard deviations of the 30-year average. Several ice breakers were even caught in the expanding Antarctica ice. Anastasios Tsonis of the University of Wisconsin states, “We are already in a cooling trend, which I think will continue for the next 15 years at least. There is no doubt the warming of the 1980s and 1990s has stopped,” told London’s Mail on Sunday. Meanwhile, global surface temperatures have been relatively flat over the last15 years according to the United Nations. Antarctic sea ice has grown greatly to a 35 year old record for a second straight year, baffling scientists seeking to understand why this ice is expanding rather than shrinking in what they say is a warming world. Perhaps the Global Warming predictions are in error. There is satellite measured evidence our oceans have warmed fairly suddenly giving rise to the Global Warming predictions. However, this warming may have been caused by alien underwater activity creating tremendous heat and mining rather than by man-made causes. On Saturday, the Antarctic ice extent reached 19.51 million square kilometers, according to data posted on the National Snow and Ice Data Center Web site. That number bested record high levels set earlier this month and in 2012 (of 19.48 million square kilometers). Records date back to October 1978. The Antarctic polar vortex is more pronounced than the Arctic one and creates the coldest places on Earth that on East Antarctic Plateau temperatures dipped in December to minus 133.6 degrees Fahrenheit (minus 92 degrees Celsius in December. Studies show that the world was warmer than it is today during the Roman Empire, and when the Vikings were plundering Europe and settling in Greenland because it was relatively warm. During the second week in December, the U.S. saw more than 2000 record low temperatures and record snowfalls, according to the National Weather Service.. There were 606 record low temperatures, 1,234 low maximum temperatures and 285 record snowfalls across the country. January will add to these records. Satellite temperature readings show hot spots in the world’s ocean areas not known to have volcanic action. Hydrographers, experts in the ocean bottom, are poring over not only everything already known about the Pacific Ocean floor, but endless streams of new data as the ocean floor is being carefully scrutinized for heat and structures. High speed underwater Unidentified Sea Objects (USOs) are being recorded and moving to suspected underwater bases. Speculation suggests deep underwater mining and production has been warming our oceans. Another possibility is weather warfare by a cunning and shrewd adversary. The Chinese are very clever and produce much of the world’s computers, iPhones, TVs and utility equipment used throughout the world. They cleverly use professional hackers to obtain advanced technology secrets from the US and its allies. British hacker Gary McKinnon claims when he raided NASA and US military sites he was surrounded by Chinese Hackers also gathering secrets. Gary claims he saw photos of alien space craft’s on NASA`s site and documents recording 400 testimonies of UFOs. Chinese officials say cloud seeding has helped to relieve severe droughts and water shortages in its cities. In Shanghai officials allegedly cause rain to fall to cool the daytime temperature, easing demand for electricity. The Beijing is part of China’s nationwide weather control effort, believed to be the world’s largest; it employs 37,000 people nationwide, who seed clouds by firing rockets and shells loaded with silver iodide into them. According to Zhang Qiang, cloud seeding increased precipitation in Beijing by about one-eighth. The scientists also used ionizers to create the rainstorms. The Chinese Weather Modification Office may be manipulating our weather patterns. The HAARP ionosphere heater installations around the globe appear to be routinely manipulating the jet stream. Dr. Nick Begich writes, “HAARP will zap the upper atmosphere with a focused and steerable electromagnetic beam. It is an advanced model of an “ionospheric heater.” The ionosphere is the electrically-charged sphere surrounding Earth’s upper atmosphere. The US has a HAARP site in Alaska but it is doubtful it alone is effective or motivated to harm the US. This year the jet stream was involved in hundreds of severe tornados and flooding in the US causing billions in damage and the frequent loss of life. Russia has more HAARP ionosphere heater installations than any other country and Russia or China or together could be manipulating the jet stream that circles the world. Pushing the jet stream near Moscow, Central Russia and the Kamchatka Peninsula could cause the jet stream to undulate north to Alaska and pick up the cold air and bring it south into the US. China has admitted it has the ability to cause it to snow or rain in various places in its country. Much of the Eastern US was hit by 10 to 12 inches of wet snow and temperatures 20 to 30 degrees below normal. Ice on the Great Lakes is the worst since the 1930’s and it’s colder in Chicago than parts of Siberia. Bill Woodley, NOAA, a weather modification researcher who spent several decades running cloud seeding experiments for the government. It is my opinion that countries often attempt to harm others and the United States and its allies are not prepared for a Weather War. Steam is suddenly emanating radiation from Fukushima reactor # 3 – could reach the West Coast of North America in the beginning of this year. Radiation is increasing in the Western States although it is not now at dangerous levels. Dr. Thomas S. Lee, NMD says, “One important way to protect yourself from radiation is by using Vitamin C and other supplements such as Organic Sulfur. Sulfur reacts with radioactive mineral isotopes, turning them into harmless sulfates.” Sulfur also facilitates the movement of oxygen in and out of our cells to assist in the repair of damaged or dying cells. Sulfur-containing amino acids are needed to repair protein that has been damaged and to build new cells. Those amino acids can’t be formed as well without adequate sulfur. TurnerRadioNetwork.com claims the US Federal Government has placed an Emergency order for 14 million Potassium Iodine pills to be delivered to a Maryland warehouse near Washington DC on or before February 1, 2014? The pills are also known to be effective in helping the effects of radiation. Mysterious “UFO lights”, known as “ground lights” or “earthquake lights”, sometimes appear before or during earthquakes and take a number of forms, including spheres of light orbs floating through air. The mysterious “UFO lights” may occur at rifts or nearly vertical faults as the crystalline structure of the magmatic stones, subjected to intense pressure, releases electrical energy. Some have confused the globular luminous air masses with UFOs. For instance, seconds before the 2009 L’Aquila, Italy, earthquake struck, pedestrians saw 10cm high flames of light flickering above the Francesco Crispi Avenue in the town’s historical city center. In 1988 a bright purple-pink globe of light moved through the sky along the St. Lawrence River near the city of Quebec, Canada, 11 days before a powerful quake. Scientists said the “earthquake lights” are more likely to occur on or near a rift, an elongated depression in the Earth’s crust bounded on both sides by normal faults. Stress-activated mobile electronic charge carriers, termed positive holes, flow swiftly along stress gradients. Upon reaching the surface, they ionize air molecules and generate the observed light. For many years I have claimed flowing water exists on Mars and it now appears NASA has reported that their Curiosity Rover had discovered the remains of a freshwater lake on Mars. Now, Popular Science says the Mars Reconnaissance Orbiter has spied some curious dark ‘finger-like’ features near Mars’ equator. Experts say the dark ‘finger-like’ appearance of the soil offers evidence that water may now be flowing on the surface of Mars. Mars is typically considered a dry and barren planet, but these observations may prove that the liquid appears in the Martian winter but it evaporates in the warm summer sun. If NASA was able to confirm the find it would likely change their understanding of the alien environment. Scientists are hoping that the discovery of flowing water may increase their chances of discovering life on Mars. SALINAS — On December 31, 2013 at 3:24 PM, An unexplained crop circle has captured the curiosity of alien enthusiasts and conspiracy theorists across the nation. The patterns were noticed by aerial photographer Julie Belanger, who told ABC News she was shocked to discover them during a flyover on Monday. Adding to the mystery is a video posted on YouTube that shows two friends coming across the patterns after seeing green lights emanate from a field. http://abcnews.go.com/blogs/headlines/2013/12/california-crop-circle-sparks-ufo-talk/ According to several experts, the crop formation which appeared in Salinas, California on December 30, actually contains a message encoded in Braille that translates directly as: 192 192, B 192 1, so it is likely a marketing gimmick. 192 192 equals=1wa 1wa on your phone. LOS ANGELES — On January 1, 2014, photograph reveals bright row of vertical lights. About an hour ago I shot this photo. If you zoom in next to the high rise you will see a vertical line of lights. TRACY – I’d been working on a 4×4 Blazer, and was taking pictures at midnight of my work. I looked up to see an orange line of objects traveling slowly across the southeast sky. I thought maybe it was an airplane contrail. I just started taking pictures of bright colored lights moving across the sky like a moving rainbow, with solar flares flashing as if the sky was on fire. AURORA — New Years Day 2014 at 12:12 AM, I let my dog out and noticed two unusual yellowish lights lined up in the northeast. They were hovering and looked different from airplanes or helicopters. A third one appeared and the three formed a triangle. I went to get was my camera and when I came back the third one gone. This is the picture I took, and then I saw one large one was rising up. There were three smaller ones again and they lined up in a straight line. After I filmed the formation broke up. OCEAN CITY – I was on the Boardwalk for the New Year’s fireworks with a crowd of people all looking up at five huge red-orange lights flying in a straight line at December 31, 2013 at 11:45 PM. The lights and the formation were weird. They flew over the Music Pier Building and they all started to move out of line and huddled near each other and all dimmed, but one stayed for a little bit. Everyone just kept walking like zombies to the end of the Boardwalk; I don’t know how many cared to watch. UBERABA – MG – I was cycling and on my right was a ship in the clouds on December 21, 2013. I saw a white object shaped like a shovel that seemed to come and go. ITAJUBÁ — A red glowing sphere appeared moving slow, stopped and took off quickly on December 21, 2013. My cousin does not use drugs and he got it on tape. I saw it this morning, when he e-mailed me the photo and the video. Everyone was going outside to see the lights. SANTA DOMINGO – On December 25, 2013, we saw five orbs just like this one we photographed traveling super fast upward and then disappearing. JALAPA — My friend José posted this picture in Face Book on December 30, 2013, of a disc shaped object. TOKYO — For forty minutes five UFOs hovered over head on Christmas Day at 4 PM. A news reporter heard about the UFOs and ran out to his balcony to record them himself. The UFOs all tilt up at about 25 degrees. The positioning of the UFOs tells us they are piloted by intelligent beings, perhaps even coming from a cloaked exit in the volcano Mount Fuji. LONDON — UK-based organization that reviews aircraft near collision incidents claims a pilot reported a near-miss with a UFO above London on July 19, 2013. In a Daily Mirror report, the pilot thought that they were on a collision course with no time to react. The captain of an A320 who reported the incident says that, “He saw the object coming straight for his aircraft at a similar altitude. The object was bright silver in color and made of metallic material in a cigar/rugby ball like in shape.” He instinctually ducked and alerted his fist officer. The pilot did not have time to say anything as the sighting happened so quickly, according to the report. The captain asked the first officer if he had also seen the UFO but he was looking at his log book and did not see the mysterious flying object. The New Jersey/Pennsylvania UFO Paranormal Study Group meets the second Wednesday each month in the downstairs conference room in the Hamilton Library from 7 to 10 PM off White Horse Avenue at 1 Justice Samuel Alito Way Trenton, NJ 08619 For more information; call Pat Marcattilio at (609) 631-8955. Previous: Newly Discovered Celestial Object Defies Categories: Is It a New Kind of Planet or a Rare Kind of Failed Star?